Yeh Hai Mohabbatein Stranger entry. Raman is stressed that Ishita didn’t forgive him. He wants the things to be neutral at home. Same goes for Karan and Rohan, who get stressed by their fight and Sudha’s illness. Karan asks Rohan not to get away from the family. Rohan tells him that he loves Aaliya a lot and can’t stay away from her, he just wants to protect her from Yug. Karan feels sorry for his misdeeds of planting Yug in Aaliya’s life, which didn’t help anyone. Raman meets a woman at his office. He stays disturbed in his own problems. He doesn’t listen to the woman. Shweta asks the woman to come at a convenient time and not bother Raman. The woman decides to meet Raman at his home. Ishita meets Rohan and apologizes to him for Raman’s wrong behavior. Rohan tells her that he is Aaliya’s husband and he wants her back in his life. He feels its getting impossible that Aaliya would return in his life. He tells her about Sudha’s sickness, and how he is getting blamed for this. He tells that Sudha wants him to marry someone else. Ishita tells him that she is at fault to make things complicated. Rohan feels its just Yug’s fault. She doesn’t want Raman to see him at the hospital. Raman meets Ishita and finds her with Rohan. He knows she is supporting Rohan. He asks Ishita how can she ignore him. Raman loses his cool on seeing Rohan. He meets the same woman in the building compound and vents out the frustration. Ishita asks Raman to hear out the woman once. Raman tells her that if she has no time for him, he has no time for anyone. Raman asks the woman to get out. The woman breaks her silence and scolds Raman for ignoring her. She threatens him with the dire consequences. Raman doesn’t care for her threatening. He challenges her to do anything she can by her abilities. Ishita apologizes to the woman for Raman’s angry behavior. She asks the woman what is her problem, what does she want from them. She justifies Raman’s problems ongoing and troubling them. The woman goes raging on Ishita and threatens to ruin Raman. Ishita wants to know who is she that she is threatening Raman. She slaps the woman and makes it clear that she can’t abuse anyone. The woman goes violent and demands Ishita to obey her. She doesn’t want to forgive Raman and Ishita. Ishita rushes to tell Raman about the woman’s threatening. Raman gets angry on her for always supporting Rohan and not thinking of Aaliya. Ishita asks him to value their bond of marriage. Aaliya doesn’t them to fight. 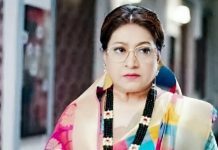 The woman failed to have a business deal with Raman, and can’t take Raman’s attitude. She wants to take revenge on Ishita, who slapped her. She is a don and shoots down a man in anger. Raman and Ishita don’t know the woman is so dangerous. She gets against the Bhallas. Ruhi tells Aaliya that they should send Raman and Ishita somewhere so that they sort their differences. Ishita doesn’t want to leave Aaliya alone and go anywhere. 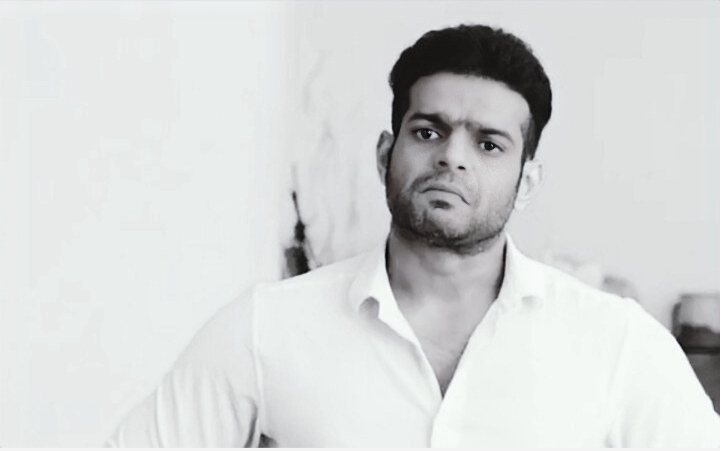 Yug feels he is the reason for Raman and Ishita’s fights. He apologizes to Ishita and asks her not to go anywhere, else Aaliya will suspect them. He finds Raman upset and crying. He realizes the sorrow he has given to Bhallas. Raman doesn’t want to hurt Ishita or Aaliya. He gets hurt by his own dilemma. He feels helpless. Yug apologizes to him. He decides to end the deal with Karan. Rohan worries for Aaliya more and this angers Karan. Karan wants to plan a party for Sudha’s recovery. Yug informs Karan that he wants to leave Bhalla house for the sake of Aaliya. He doesn’t want Raman and Ishita’s house to break down. He feels guilty and worries for Aaliya. Karan doesn’t want him to leave Aaliya midway. He asks Yug to think of Aaliya’s mental state and help her recover first. Yug understands his point and agrees. Raman and Ishita face the don’s wrath. A new trouble knocks Bhalla house.